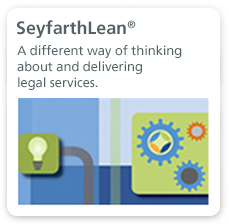 Seyfarth Shaw LLP has a long history of representing clients in all aspects of tax credit equity financing. Over the past four years, Seyfarth has closed in excess of $600 million in New Market Tax Credit (“NMTC”) financings, providing companies and non-profits with access to capital at a cost otherwise unavailable to them in conventional debt markets. 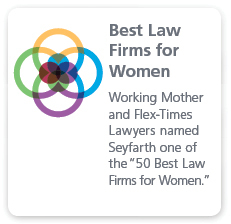 Seyfarth’s NMTC practice is one component of a larger economic development and structured finance practice that is among the best in the country. We are able to deploy a variety of financial tools, structures and strategies to help both private sector and public sector entities meet their growth and job creation objectives. With respect to NMTCs, we have represented both community development entities (“CDEs”), that serve as the conduit for the NMTC allocation, and qualified active low-income community businesses (“QALICBs”), that are the companies that benefit from the financings in their role as borrower. Seyfarth’s borrower clients engage in a broad range of industries, including, but not limited to, renewable energy, forestry products, seafood processing, community revitalization projects, bio-polymer manufacturing and retail food sales. On behalf of these companies we have drafted and negotiated: (i) NMTC reservation letters from CDEs, (ii) commitment letters from investors, and (iii) all qualified low-income community investment (“QLICI”) documents, including loan documents, community benefit agreements, and NMTC indemnification agreements. We have led the market in limiting recapture exposure for our borrower clients in the world post-Boardwalk, a recent landmark tax credit equity case. 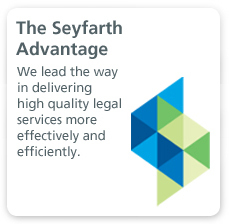 The Seyfarth team also includes tax specialists who can render the requisite tax opinions. Very few law firms have the ability to efficiently and successfully integrate the most sophisticated financial tools, including tax-exempt bonds, tax-increment financing, project finance bonds, syndicated loans, and other forms of “tax credit equity” in addition to NMTCs, into a seamless financing structure that produces cost effective, long-term capital for our clients. We not only have the requisite skill set, but just as important, we also know the industry players and can help our clients identify the best partners for their transaction. Taxable and tax-exempt bonds; tax-increment financing; grants; venture capital; historic tax credits; renewable energy tax credits; state subsidies (including state NMTCs); HUD subsidies; SBA subsidies and USDA subsidies.